Opening hours: Shops are generally open 9am-1pm and 4pm-8pm. Banks are open only in the morning between 8am and 2pm. Opening hours: Mon-Fri 9.30 am-5 pm. Sat 10 am-1 pm. A wonderful mix of nature and culture allows you to spend active stays as well as relaxing vacations in Lanzarote. Experience first-hand the UNESCO Timanfaya National Park, visit the home of the world famous architect César Manrique, wait for the perfect wave on your surf board or just relax on the idyllic beaches of this incredible island. Also known as Montañas del Fuego (Fire Mountains), this area affords an interesting variety of geological phenomena and contains a particular endemic flora due to the high subterranean temperature. All this makes Timanfaya a living laboratory for biological research and one of the most exceptional natural habitats in Europe. 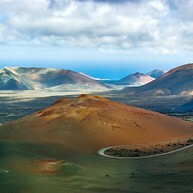 UNESCO designated the Timanfaya volcanic field as a national park in 1993. Low, sugar-lump houses and over six kilometres of golden sandy beaches: welcome to Lanzarote’s luxury tourist centre. Puerto del Carmen has much to offer when it comes to restaurants, nightlife and shopping. With good wines and evening strolls on the beach promenade, it is a life-affirming experience. 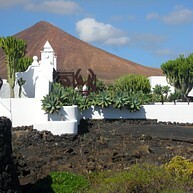 The house of world-renowned architect César Manrique is located in the northern part of Lanzarote, more precisely in Harìa. In this little village, where people maintain the traditional way of living, the architect found the right inspiration for his impressive works and decided to make it his home. The house is today a museum dedicated to Manrique's life and work. 27 kilometres north from Arrecife you will find some of the most spectacular caves in the world. When the Corona volcano erupted 3,000 years ago, the Jameos del Agua subterranean complex was formed. 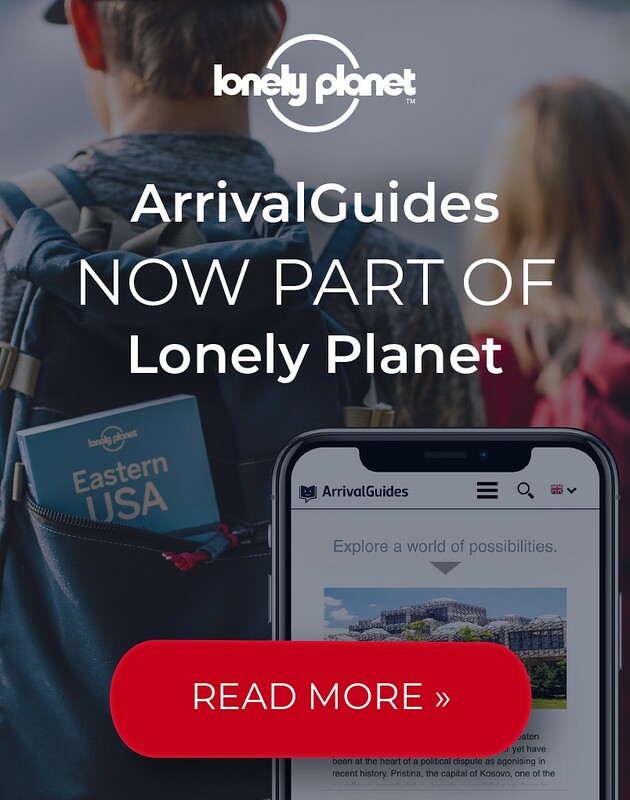 Here you can see all manner of volcanic formations, from lakes to caves, and even courtyards and a subterranean auditorium where concerts are often held. 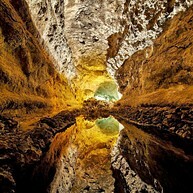 Cueva de los Verdes is adjacent, with its 7 kilometre-long tunnels and a subterranean lake in its largest cave. This modern art gallery is housed in the old military fortress of San José, built in the 18th century to protect the island from pirate attacks. The historical building, combined with the contemporary artworks on display, create a particular contrast which makes this museum unique. Just outside Playa del Carmen, this park hosts and protects exotic animals of all sorts, such as white tigers, cougars and various reptiles. It is the ideal place to spend a fun and instructive day with the entire family. Animal shows and horse riding are just two of the many activities that you can enjoy here. Don't forget to bring your bathing suit so as not to miss out on the water park. The Los Hervidos pathways, built on cliffs overlooking the ocean, give you the opportunity to admire as waters stream with dramatic power into volcanic caves. If the ocean is particularly rough, the sound can be deafening. Enjoy also the spectacular scenery from the pathways. Lanzarote, like the rest of the Canaries, is an island with perfect surfing conditions. The peak season with the best waves is normally between November and late March, but surfing can be done all year round. One of the best beaches is Las Cucharas Beach, where it is also possible to practice and learn wind-surfing and kite-surfing. 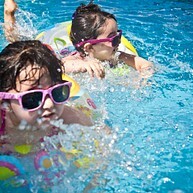 Aquapark Costa Teguise provides fun for the whole family. Waterslides and pools for all ages, but also Adventure Park and paintball, make this a perfect place to visit. Inside the park, you can also find restaurants and shops, and shows of all kinds are held at night. 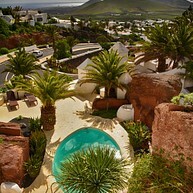 This stunning villa, built into the volcanic rock, used to be the property of the actor Omar Sharif. In this place the elegant architectural design merges seamlessly into the astonishing natural frame. Today it also accommodates a museum, an exclusive restaurant and a guest house. This big garden boasts more than a thousand different types pf cactus. It is of great interest for both children and adults for being educational but also fun. César Manrique is the man behind this project. For this reason, you will see his works scattered all around the garden. 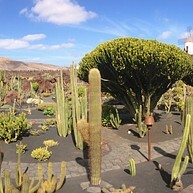 This unique viewpoint is one of the most renowned works by César Manrique. From the decks hanging off the cliffs, you will have a great view over the north western coast of the island and the nearby Isla Graciosa. And if you are afraid of heights, don't worry! You can also enjoy the view from the indoor room. 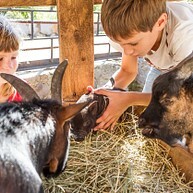 Pardelas Park is a traditional Canarian farm where children can learn to come into contact with nature, thanks to various activities thought out especially for them. They can ride donkeys, feed and pet animals and try making pottery. And for the rest of the family, the farm has its own restaurant where it is possible to enjoy a lunch with local tapas and wine. All of the Canary Islands have a history of pirates. 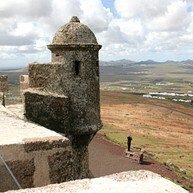 This castle from the 16th century was not only built to protect Lanzarote from intruders, but also to be a refuge for the locals in case of attacks. Today the Piracy Museum is housed in the amazing Santa Barbara castle. This small museum shows the history of life on Lanzarote. Indeed, its location in San Bartolomé de Ajey is not a coincidence: this village was one of the first settlement on the island. You will find the museum in a malmsey laboratory built almost 300 years ago. In addition to the permanent exhibition, it also hosts varied expos on a regular basis.